At the request of the Residence Hall Association Senate, in November 2007, the Department of Resident Life announced that a lottery, or purely random drawing of the names of then current second-year students living in residence halls, would determine the order in which these students would be considered for residence hall housing in their third year in the event that housing availability would be limited. 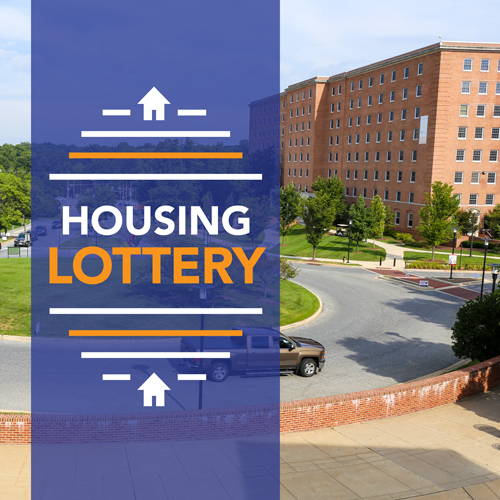 The Department of Resident Life predicts that based on current occupancy levels and commitments expected for Fall 2019 that most current second-year students (rising juniors) in good standing will be subject to the housing lottery. It will be necessary to conduct the lottery in the event that some but not all rising juniors are eligible for on-campus housing in residence halls. The lottery will be in force from February 2019 to August 22, 2019, the period of time in which the actual number of these students who can be accommodated in residence halls for Fall 2019 will become known. The need for the lottery arises from two considerations. First, the Department of Resident Life projects that most interested students in a particular category (in this instance, students now in their second year of college, for whom Fall 2019 will be their third year in college) will be notified on April 3 about their ability to participate in Room Selection 2019. Our initial outlook for Fall 2019 contains an expectation that third-year students in exempted categories will be offered housing but other rising juniors who seek residence hall housing may not be accommodated immediately, so, a method of confirmation order is needed. Second, the method for determining access to residence halls within a group of students, such as current second-year students, is by a lottery. The existing priority number system for Room Selection procedures (a system of calculating a Priority Number for every student) is not meant to determine access to residence halls and will not be used to do so. Priority Numbers are assigned every April to eligible students and will continue to determine the order in which eligible students choose their rooms and roommates. Lottery determines access to the process, priority determines order of selection. RHA legislation regarding status for lottery-eligible students with rule violation(s) that result in multiple administrative housing probations will be implemented. Such students will be placed at the end of the lottery group for 2019-2020. This will have a direct negative impact on their lottery positions.